Our goal is to go above and beyond parent's expectations. 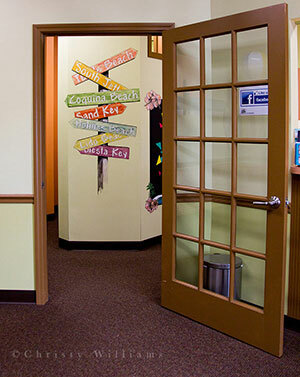 We provide quality dental care in a fun, clean, and child friendly environment. At your first visit with us, we will spend time getting to know you and your child. During the appointment, we will review your child's medical and dental history. 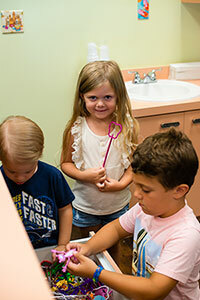 We will gently examine your child's teeth, gum tissue and dental development. The teeth will be cleaned and polished. We pride ourselves on a very friendly, inviting environment and we do all we can to help put you and your child at ease. In keeping with that effort, we encourage you to accompany your child in the exam room. We also encourage you to talk to your child about what to expect before coming in, without using any language that might cause apprehension. Part of the visit to our office includes motivating your child toward healthy diet and hygiene to get them off to a great start. The American Academy of Pediatric Dentistry recommends that you should schedule your child's first dental appointment once the first tooth has erupted. This usually occurs by 1 year of age. As soon as a child has teeth, those teeth are subject to decay. The primary concern in very young children is "Early Childhood Caries" also known as "baby bottle tooth decay," which can be avoided with early prevention and home care. Following the first visit, the American Academy of Pediatric Dentistry suggests follow up visits twice a year for preventative care. For your convenience we have provided some of our inital forms so you can download them and fill them out prior to your visit. These forms require the use of the free Adobe Acrobat Reader. Most computers have it pre-installed. If they don't open automatically, please click here to download and install it.